1. IF MY ORDER IS UNDER $500 OR MY LOCATION IS OUTSIDE YOUR FREE DELIVERY SERVICE, WHAT ARE MY OPTIONS? There are several options: You can pickup your order from one of our locations nearest you (this includes participating Farmer Market locations), or we can deliver to you at the rate of $1/ mile round trip. 2. HOW CAN I PAY FOR MY ORDER ? You can pay in cash, credit card, paypal, 25% deposit 75% balance COD. 3. CAN I ADVANCE ORDER A RARE TREE OR PLANT NOT IN YOUR STOCK ? 4. CAN I RETURN AN ITEM ? Yes, provided it was not planted and still in original container and in good condition within 14 days of initial purchase. A full credit will be issued towards any future purchase. 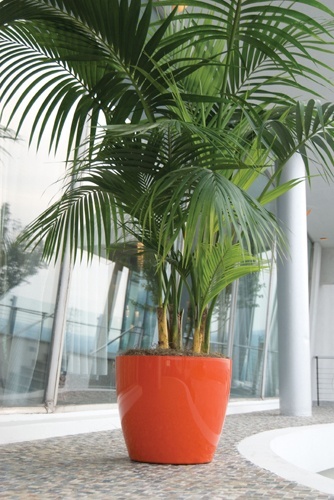 Sorry, credit is not offered for any field grown trees or palms as we extract specifically to fill your order. 5. HOW LONG WILL MY ORDER TAKE TO BE DELIVERED ? The average delivery time is within same week of your order, otherwise we will notify you to coordinate a convenient time for you to receive delivery.